It isn't being openly discussed yet, but the RAF is rapidly approaching a crisis point. Nearly half the fast jet fleet is due to be retired when the ageing Tornado GR4s pass out of service, likely in 2019. The F35, intended to cover the UK's requirements for manned strike aircraft, will not be available in numbers until after 2025 at the earliest. Without serious and considered action there is a potential risk that the UK could end up with 126 fast jets formed in only six squadrons, compared with the current level of 192 aircraft formed in 11 squadrons. Options, such as running on the 52 Tranche 1 Typhoons or the Tornado fleet itself, exist to ease the transition from Tornado to F35. That said, the Tranche 1 Typhoons will not be compatible with the new Meteor missile or the Paveway IV bomb, which would force the RAF to sustain their stock of older AMRAAM missiles for longer than expected. The likelihood is that the RAF will avoid the worst case scenario, probably by sustaining a portion of the Tornado fleet beyond the 2019 out of service date. This reprieve will probably result in a smaller reduction to nine squadrons, but the decline will likely remain irreversible. A realistic assessment is that no money exists to re-form squadrons once they are stood down. In comparison, re-equipping existing formations is the far more attractive option that should be taken whenever possible. That said, maybe it's time to consider more radical options, look seriously at what roles the RAF will perform in the future and the aircraft they will need to carry them out. Before any recommendations can be made though we need to take a look at the situation as it currently stands. As it stands the air force seems determined to maintain a large and highly capable fleet of fast jets well into the future. Typhoon is shaping up to be a superb aircraft, with plenty of scope for upgrades to ensure it remains competitive even in the face of potential fifth generation opponents. Despite claims to the contrary F35 will be a very substantial step up from it's RAF and Fleet Air Arm predecessors: Tornado and Harrier. By current estimates the total fleet will be rebuilt back up to around 200 aircraft, once the UK's entire F35 buy is complete in the late 2020s, assuming that the total purchase exceeds the 48 aircraft already announced. This could leave Britain with a very overstretched force of front line combat aircraft. It would seem that Russia intends to maintain a higher level of pressure on the RAF's quick reaction alert (QRA) forces than the UK has seen since the end of the Cold War. It is undeniable that the UK's Typhoon FGR4s will increasingly be called upon to conduct overseas deployments and cover the strike role previously filled by Tornado, with this in mind it is concerning that four of the five squadrons of these invaluable aircraft will be permanently tied down defending the British isles. Looking at the likely rate at which F35B will come on stream, 12 aircraft per year after 2019, the RAF will not return to the minimum level of eight fast jet squadrons required to cover QRA and provide credible expeditionary forces before autumn 2025. A six year capability gap at precisely the time when the world is more dangerous than it has been since the end of the Cold War does not seem very sensible. If the Tornado is retired as planned in 2019 then the UK will go from having an air force which is capable but hard worked to one that is barely credible almost overnight. The situation does not look good either for Britain's ISTAR fleet. Neither the Sentinel R.1 or the Shadow R.1 are currently funded beyond 2018, and the expectation is that both aircraft will be retired at that point. Part of the Sentinel's ISTAR role is due to be covered by the new "protector" drone, but the likelihood is that some of the capabilities afforded by Sentinel will be lost with it's retirement. The six big E-3D Sentry AEW.1 aircraft are badly in need of an upgrade, the other NATO members operating the aircraft are already in the process of moving to the USAF E-3G standard while the RAF seems to have been left behind. Without consistent investment in the aircraft, which the army recently helped save from the chopping block because of the unique capability it provides, the UK fleet will continue to gradually decline in operational utility. The single point of hope in the current ISTAR fleet is the RC-135W Rivet Joint, three of which have been purchased from the US at a cost of £634m. The UK has already had two of these aircraft delivered, with a third set for 2017, and they have already seen active service in the UK's contribution against ISIS, Operation Shader. Project Airseeker, the programme that delivered the British RC-135s, also includes plans for the long term maintenance and upgrade of the aircraft out to an expected retirement date of 2045. I have heard the possibility of using the P-8 Poseidon Maritime Patrol Aircraft in the ISTAR role discussed, but I remain skeptical of any solution to the impending ISTAR problem that results in a serious diversion of this asset from it's intended role. The UK ISTAR fleet has, for a long time, acted as a serious force multiplier for British and allied aircraft. 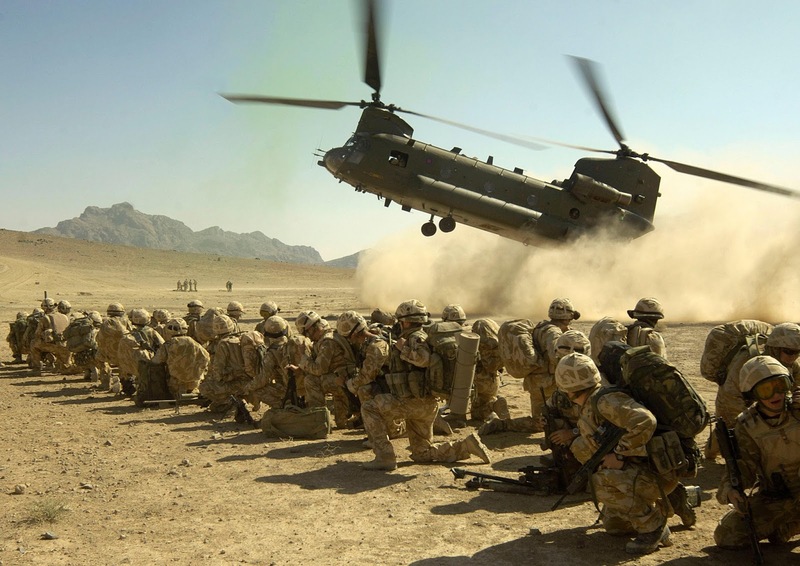 To see it facing a very substantial drop in numbers and capability at a time when the RAF is engaged in a serious bombing campaign in Iraq, and the government is considering expanding operations to Syria, appears to make very little military sense. 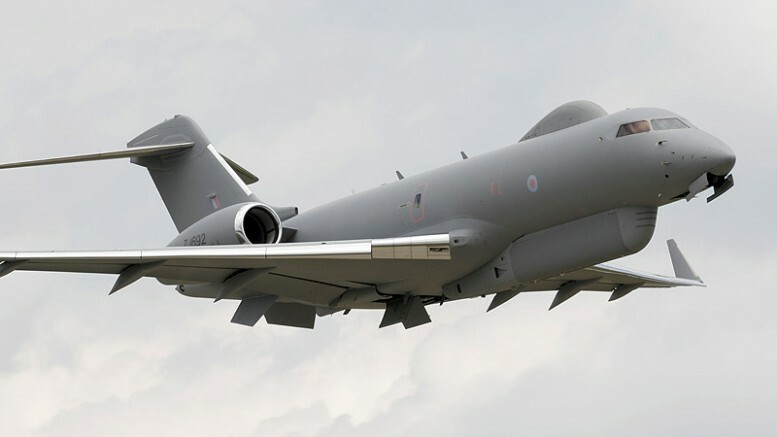 Since the retirement of the Nimrod MR2 in 2010, and the cancellation of the MRA4, the UK has had no specialised maritime patrol aircraft. There are very strong indications that this situation will be resolved in the near future and that, following the upcoming Strategic Defence and Spending Review, the UK will place an order for between six and twelve Boeing P-8 Poseidon patrol aircraft. The type is already in service with the US Navy, and has been since 2013. While some lament the cancellation of the MRA4 it would have been increasingly costly for the UK to operate and upgrade a tiny number of these bespoke aircraft. At least with the P-8 Britain will get an aircraft that will be built in large numbers, with the cost savings that brings, and supported with upgrades throughout its service life. The P-8 also offers significant scope for development into a ISTAR platform. The US Navy have already put serious work into integrating the APS-154 Advanced Airborne Sensor, which includes a powerful ground mapping radar similar in function to the one mounted on the RAF's Sentinel. The possibility therefore exists for UK P-8s to act as a part-replacement for some of the ISTAR aircraft due to be lost in 2019, as well as to regenerate the lost maritime patrol capability. There are, however, areas in the current force structure that we can be more hopeful about. The airlift fleet looks set to remain healthy and stable in terms of numbers for the foreseeable future. The C-17 fleet has doubled in size since the first four aircraft were leased from the USAF in 2000, and all eight aircraft are now fully owned by the UK. In 2014 the MoD recommitted to the USAF/Boeing sustainment partnership that provides the upgrades and maintenance necessary to continue operating the aircraft in the long-term. There's good news as well on the other half of the airlift equation. After significant delays the A400M Atlas is finally starting to come into RAF service, with 22 aircraft planned to replace the 24 C-130Js currently in service. While this superficially appears to be a small reduction, there is apparently strong support for continuing to operate a few, estimated at between seven and nine, C130Js in support of special forces missions beyond 2022. If this is the case then the RAF could be looking at a small net increase of 5-7 airframes over the current fleet of 24 C130Js. There has been some concern expressed over the gap in tactical airdrop capacity since the retirement of the C130K between now and 2018, when the Atlas will take over this role. One possible solution is for the RAF to finally exploit the C-17's potential for tactical application in the parachute and airdrop roles, as the USAF have done. The long term prospects for the airlift fleet are promising, consistent investment and replacement of existing aircraft, on a near one for one basis, means that overall capability in this area will continue to improve. 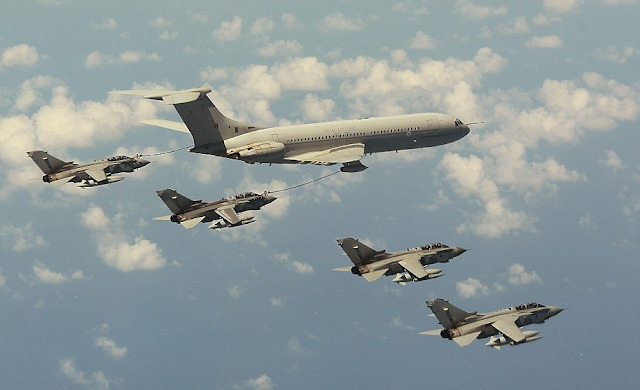 The RAF's core fleet of nine Airbus A330 MRTT tankers is now provided by the AirTanker consortium, under a private finance initiative drawn up in 2004. Known as the Voyager KC2 and KC3 in UK service the final tanker aircraft have already been delivered. Curiously, the contract also includes five additional aircraft marked for commercial use, one of which is already in RAF service as a transport aircraft. Like the fast jet force some of the Voyagers, currently two aircraft, are tied to the UK in support of the QRA mission. The remaining four have been stripped of their refueling gear and are in the process of being contracted out to act as civilian airliners, available for RAF use given enough notice and time to refit the gear. All of the Voyagers in British service are currently fitted with the probe and drogue system, this is an issue because several of the major aircraft already in service or soon to enter service (Rivet Joint, C-17 and P-8) are currently only compatible with the boom method of refueling. 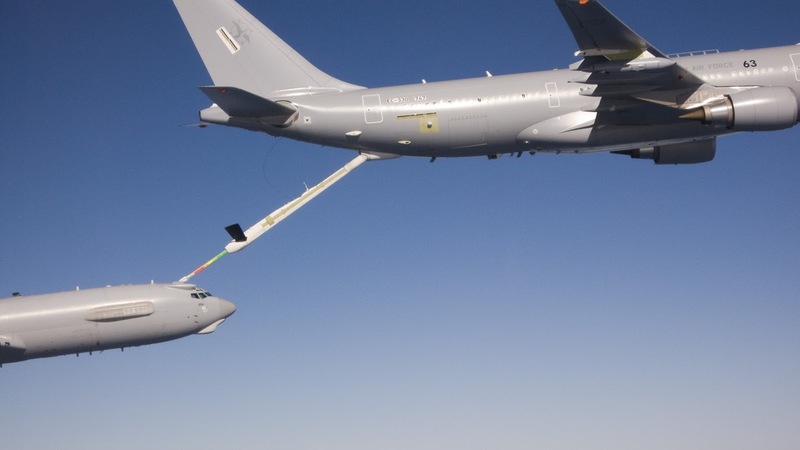 A boom is already available for the MRTT, and the cost of having them fitted to some of the existing fleet would not be prohibitive. Much has been said and written about the specifics of the AirTanker PFI, and how it provides a poor capability and poor value for money compared with the other options available. However, the situation as it stands means that the RAF is currently stuck with a lousy contract for the foreseeable future. There has been some recent good news on the future of the UK's fleet of UAVs. The Prime Minister's announcement that the MoD would look to purchase twenty new "Protector" drones to replace the ten MQ-9 Reapers that have seen near-continuous service in Afghanistan, and more recently Iraq and Syria. Currently it looks like "Protector" will be an upgraded MQ-9 Reaper with new communications equipment, improved endurance and weapons carrying capacity. The choice of Reaper is particularly good news because the UK has already spent time and money integrating the excellent Brimstone missile with the MQ-9. The decision to continue with the US-made drone is almost certainly the correct one. The type will continue to be supported by several major air forces, not least of which the USAF, for the foreseeable future and with that will come a rolling programme of upgrades and equipment allowing the drone to swing into other roles such as maritime patrol and signals intelligence. As for future UAVs like Taranis and Zephyr they both demonstrate the promising future applications for unmanned aircraft, but neither system is anywhere near mature enough to envision using them as replacements for conventional deep penetration strike aircraft (in the case of Taranis) or satellite imagery (in the case of Zephyr). As it stands UAVs like Reaper remain limited by their extreme vulnerability in the face of an opponent with any form of credible integrated air defence system. Since the Merlin HM3s were transferred to the Royal Navy, to replace the "Junglie" Sea King Mk.4s in use with the Royal Marines, the RAF now only operates two types of heavy lift helicopter. The fleets currently stand at fifty two of the famous twin rotor Chinooks and twenty four smaller Pumas. Both types have been consistently upgraded, the newest Chinooks to the HC6 and older versions to the HC4 and 5 standard. The entire Puma fleet has now been converted to the HC2 standard and the last HC1s were removed from service in 2011. The MoD have also committed to purchasing an additional eight Chinook HC6s by 2017, a modest increase in the size of a fleet which has proved it's usefulness time and again in Afghanistan and Iraq. All in all the dual transport helicopter fleets operated by the RAF are in a good condition, while there is always room for expansion the current plan provides for a modest increase in airframes while also providing for a reasonably comprehensive upgrade programme. being kept relevant by a rolling process of upgrades. So, that's the situation as it currently stands. The RAF face serious challenges in a range of areas from fast jets, to ISTAR and aerial refueling. The service's core missions require certain force levels that have proven increasingly difficult to maintain alongside provisions for credible and capable expeditionary air forces. In light of the uncomfortable fact that the defence budget is unlikely to rise very significantly any time soon maybe it's time to consider a different future for the RAF, one that aims to ensure it's continued place as an essential partner in coalition operations and a potent force in it's own right. In order to achieve this with fewer fast jets available for the foreseeable future the RAF should be configured to fill a number of indispensable niche roles with it's expeditionary forces. I would consider areas such as "first day of the war" deep penetration bombing, carrier strike, suppression of enemy air defences (SEAD), ISTAR, refueling, maritime patrol and maritime strike to be a reasonable set of capabilities to develop. These strike a balance between "kinetic" and support roles, aiming to use the RAF as framework air force that enables and enhances the effective participation of other, predominantly European, partners. The key area for immediate development is ISTAR, the potential to use the P-8 as a capable asset in it's own right in this area should not be passed up. In order to ensure that the use of the P-8 in the ISTAR role does not compromise the UK maritime patrol mission, the MoD should look to purchase the full compliment of twelve aircraft. If the money and manpower can be found then continuing to operate Sentinel R.1 beyond 2019 would be a useful, although not essential, change to the planned force structure. The current plan to use F35 in the combat ISTAR role, acting as a medium altitude "information sponge" as well as a highly capable precision strike platform, will also help generate a broad-based ISTAR fleet with a diverse range of capabilities. The RAF's fleet of E-3D Sentry AEW.1s should be upgraded to the E-3G standard as a matter of urgency, as they continue to provide a vital capability which is rare within NATO. The UK already owns the aircraft and has extensive experience operating them, allowing the British E-3s to decline in operational utility, because of a lack of upgrades, would be to waste an otherwise very capable platform. This would mean that current plans to retire the E-3 in 2025 would need to be revised. There is currently no serious alternative to the Sentry available to the UK that would offer anything like the value for money that upgrading the current fleet would. Until the USAF decide to replace their AWACS fleet Britain would not be able to benefit from the savings generated by a long guaranteed production run. The alternatives to Sentry, if it were to leave service in 2025 as planned, would be either the significantly less capable E-2D Hawkeye or the E-767 currently in service with the Japanese Self Defence Forces. 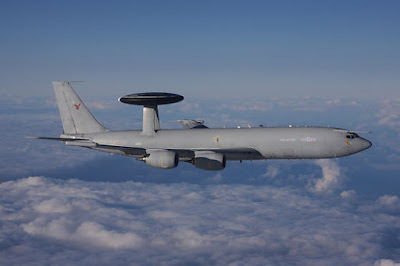 The former is ill suited to the UK's needs for an AWACS platform, lacking endurance and the command and control ability of the larger E-3, which is vital to the effective provision of the QRA mission. The E-767 is essentially a compromise design, because the Boeing 707 upon which the Sentry is based is no longer being produced the Japanese had the E-3's rotodome and equipment fitted to newer Boeing 767s at significant expense. As it stands upgrading the current E-3 fleet and operating it beyond 2025 seems to be the most sensible option for the provision of AWACS in the medium term, until the US decides to replace their E-3s. The Carrier Strike role will be covered by the F35Bs in joint RN/RAF service, with squadrons stood up between 2018 and 2020 as currently planned. The advanced avionics of the F35B, which reportedly make it a far easier aircraft to perform carrier landings in, should in theory allow the RAF squadrons to rapidly swing between land and carrier based operations when necessary. In the author's opinion the current lack of an air launched anti-ship missile, a necessary piece of equipment of the maritime strike role, somewhat compromises the credibility of the UK's future carrier force. The simplest solution would be to buy the American-made Long Range Anti Ship Missile (LRASM), the expected successor to Harpoon, for both the Royal Navy's Type 26 frigates and the UK's F-35Bs. The Norwegian Naval Strike Missile is also an option, although it has yet to be integrated with the F35 and lacks the ability to attack land targets as a quasi-cruise missile like LRASM. There is also the potential that the american missile will be integrated with the P-8 in the future, the US Navy have already integrated the Harpoon block 1C missile on the aircraft and will likely transition to LRASM once Harpoon is replaced. Since the retirement of the excellent ALARM anti-radiation missile in 2013 the RAF has lacked credible SEAD capability, relying on the Royal Navy's submarine launched Tomahawk missiles, the Storm Shadow air launched cruise missile and allies to partially cover the capability gap. Without the ability to neutralise the range of increasingly sophisticated air defence systems being proliferated by Russia and China the RAF will be unable to independently "break into" hostile airspace without putting it's pilots and aircraft at significant risk. One of the critical reasons for the political usefulness of air power is that its use limits casualties and damage to equipment. The risk that aircraft could be shot down, and pilots captured, could be enough to raise the political costs of air operations to the extent where they would lose much of their political value. It is also important to remember that, once hostile air defences have been neutralised, allied air forces can more easily involve themselves in any follow-up phase of sustained air operations. In light of this the current solution to the SEAD requirement, the SPEAR 3 missile, cannot come soon enough. As for the provision of aerial tanker aircraft my gut inclination would be to bin the AirTanker PFI altogether and buy the aircraft outright. However, the costs of doing so would likely be prohibitive so instead the best option would probably be to move the four Voyagers, currently leased to civil airlines, into RAF service and fit them with the centreline refueling boom. This will give the fleet the flexibility to refuel the Rivet Joints, C17s, P-8s and E-3s in UK service as well as a range of allied aircraft. The fixed and rotary wing transport fleets operated by the RAF are both in good health and my inclination would be not to fix something that isn't broken. Beyond activating some of the C-17's tactical applications there is very little to be gained by changing much in this area. In order to sustain a broad range of ISTAR and "enabling" capabilities something will have to give. Some of the funds could be drawn from the MoD's 2014 £1.2bn equipment under spend, but even this may not be enough. Typhoon, as previously discussed, is overwhelmingly committed to QRA and there is almost no benefit to be had in cutting the single squadron available for expeditionary operations. I would argue that the UK needs the deployable air to air capability that squadron provides. Reducing the number of F35Bs would also be unwise, the aircraft will underpin British strike capability for thirty years out to 2048. Without an increase in the overall defence budget it is almost inevitable that the RAF will lose capabilities, like those provided by it's enviable ISTAR fleet, that make it more than a medium-sized air force and allow it to act as a framework for coalition action. Provided adequate funds to modernise what it already has, as well as buy vital new equipment like F35 and P-8, the RAF will remain a highly useful political and military tool. In short, there is a great deal which can be gained by continuing to properly invest in the aircraft the UK already owns. It will need to be accepted that, without substantial increases in defence spending, fast jet numbers will remain low and the government will have to make difficult decisions about where to employ its limited resources in this area. The RAF are going to face a double crisis in the coming years, as ISTAR assets are retired and fast jet numbers may fall dramatically. While capability gaps in vital areas like maritime patrol and SEAD are due to be filled other areas will be increasingly strained. There is no easy solution to the lack of funds which has, along with poor spending decisions, caused the present problems for the RAF. In the author's opinion ISTAR should currently be the priority, delivered by a broad base of aircraft including the P-8 and F35B. This will allow the UK to continue acting as a framework nation in air operations and boost the combat effectiveness of British and allied fast jets. In order to achieve this long-term investments should be made in the E-3 Sentry and P-8 Poseidon. The former requires investment and a comprehensive upgrade programme while the latter needs to be ordered in significant numbers. The RAF desperately needs a long-term procurement strategy that makes the most of what it has, rather than sacrificing valuable assets in the hope of "jam tomorrow".